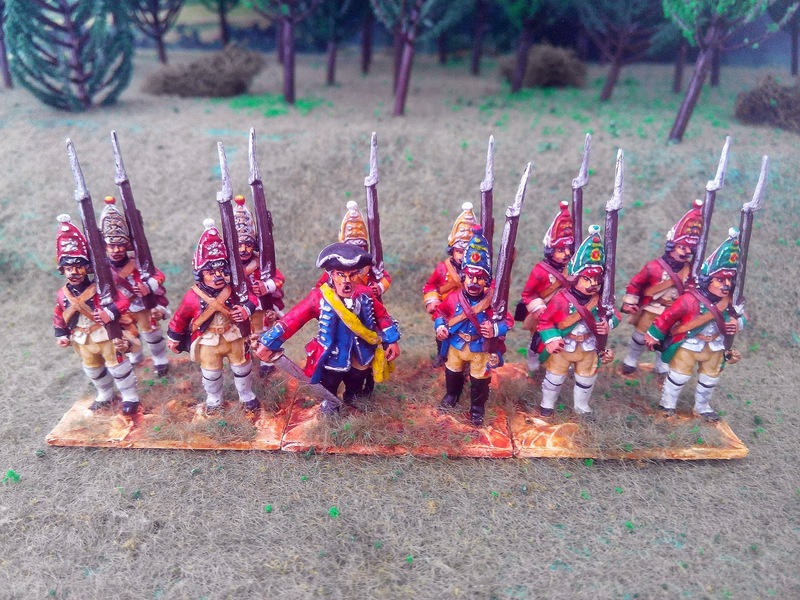 Here are the grenadiers from six Hanoverian regiments - indeed the six I recently painted. 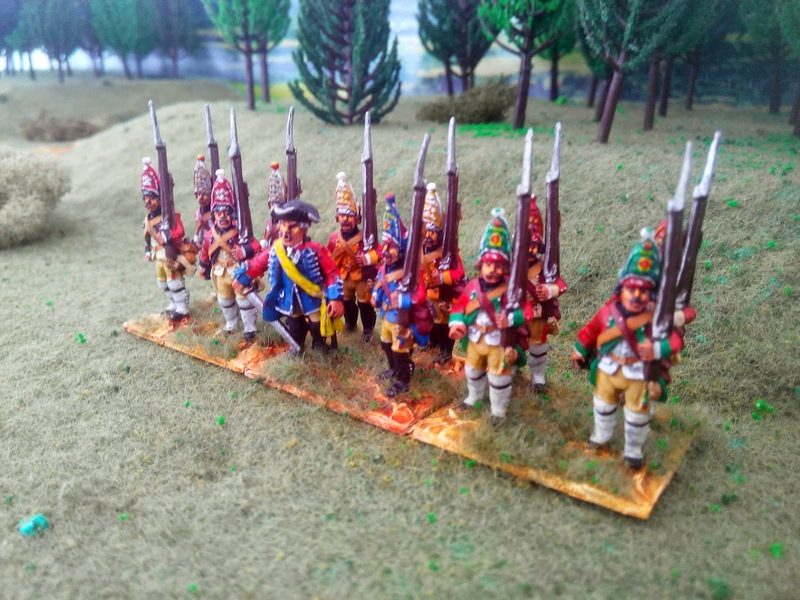 The Hanoverians had quite small grenadier companies and their deployment in the early SYW is quite complicated - more often than not they were retained within their parent battalions and if they were separated, then this was temporary. Later on in the war they are converged on a permanent basis. Figures are from Crusader with the Officer, with the astonished expression, coming from Foundry's somewhat strange British SYW range.